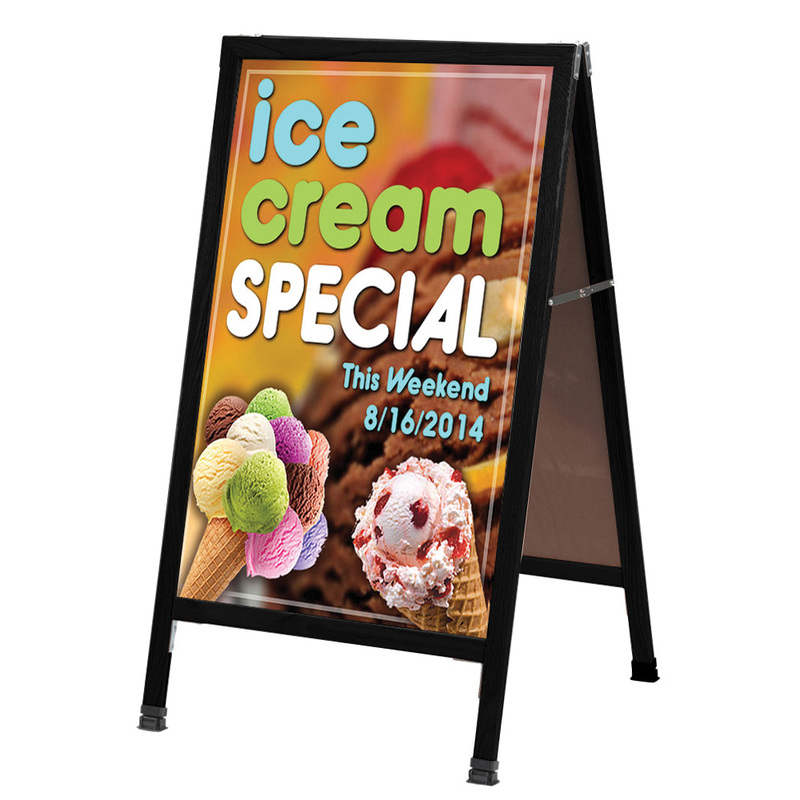 Drive in-store traffic with this double sided custom sidewalk sign! This kit includes two custom posters, a double sided black metal A-Frame sign holder, and a double sided write on wipe off board. 2 custom posters, 2 write on wipe off boards, and a double sided black metal A Frame.